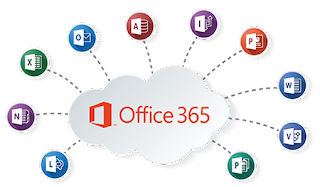 This weekend the Business team at Anglian Internet have been busy migrating emails into Office 365 whilst our customers are enjoying the weekend. If you'd like to find out more about how Anglian Internet and Office 365 can help your business please email support@anglianinternet.co.uk or visit http://itsupport-norwich.co.uk/office365.php. If you need a wifi installation in Norwich Norfolk, Anglian Internet have the answer. We can design, supply, deliver, deploy and manage your wifi network, giving your business the convenience of wireless networking and mobile devices without the headache! Anglian Internet's team of IT experts will assess your networking needs then install your cabling, sockets, cabinets and switches, ensuring that the network is intelligently designed, practical to use and ready to go! Anglian Internet offer ‘Ad hoc’ IT Support, emergency callouts, & a proactive IT Support contract that includes full remote, telephone and email support, along with server & backup monitoring. A Server is the heart of your I.T. system. We at Anglian Internet understand the importance of this, and can custom design your server to your company's individual needs, while keeping your costs down. Anglian Internet offer a range of cloud services including AVG Cloudcare, Online Server Backup, Rhino Backup and and our own Cloud Server, .